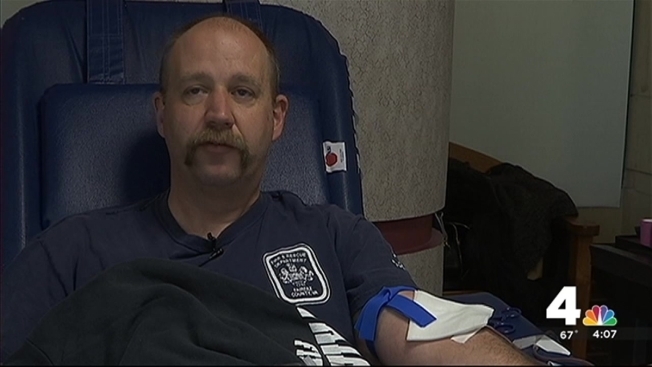 "Blood For Heroes" Drive Honors Police Officers. Days after a rookie police officer was shot and killed during her first shift in Prince William County, blood drives will be held in her honor in Northern Virginia. The general public along with law enforcement and rescue teams are asked to show their support by donating blood at Blood for Heroes community blood drives. Monday, March 7, 10:30 a.m. to 6:30 p.m. at Inova Fairfax Hospital (3300 Gallows Road, Falls Church, Virginia). The blood drive will be held in the ground-floor atrium. Parking is free. Wednesday, March 9, 9 a.m. to 3 p.m. at the Loudoun County Sheriff's Office (803 Sycolin Road, Leesburg, Virginia). The blood drive will be held in the Community Room. Inova Blood Donor Services is also accepting walk-in appointments at their three Donor Center locations in Northern Virginia, in Centreville, Sterling and Annandale. For information on exact locations and hours, see Inova's website. Donors can schedule appointments for the community blood drives or Donor Center locations by visiting www.inova.org/donateblood or calling 1-866-BLOOD-SAVES. Photo identification is required to donate.